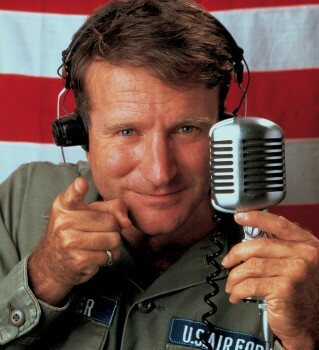 I don’t usually blog about current events, much less celebrity deaths. When the newspapers are filled with school shootings and police shootings and dead Palestinian children and natural disasters, spending time mourning a famous person seems worse than trivial. But it is a queer thing to cry for a stranger. To feel tears running down your cheeks and an ache in your chest for someone you never met, someone you only know through their on-screen performances. To feel genuinely heartbroken about the suicide of a famous person. But that is how I feel about Robin Williams’ death, and if the lachrymose outpouring on social media is any indication, I’m not the only person grieving for the late actor and comedian. Boy, you’re gonna carry that weight. A few days ago my mom sent me a link to a version of The Beatles’ Abbey Road with the vocal tracks completely isolated. 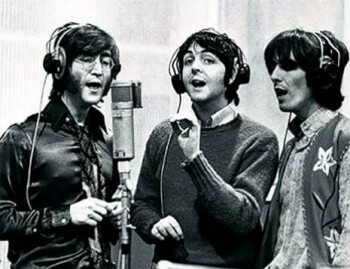 Being a lifelong Beatles enthusiast, I was excited and curious to hear what the band’s final album sounded like sans musical instruments. I put it on this morning as I was making my coffee, and allowed the three part harmonies to wash over me. It’s definitely an interesting experience to hear very familiar songs sung without the usual accompaniment of guitar and bass and keyboard. I found myself focusing on the way the harmonies built on each other, and how the different tenors of the singers’ voices blended and complemented each other. But as the final song ended, I couldn’t help thinking to myself how much better I liked the original version, instruments included. There’s a very, very famous quote that, although commonly attributed to Aristotle, actually originated with Gestalt psychologist Kurt Koffka. I’m sure you’ve heard it many times before: “The whole is more than the sum of its parts.” This is an integral concept to Gestalt psychology, in that our perception of any whole exists as an independent entity from all of its parts perceived individually. The sum is not necessarily greater, or better, but it does exist as other than the sum of its parts. A house is more than the bricks, mortar, timber and metal that went into its construction. A year is more than all of its days added together. Get it? 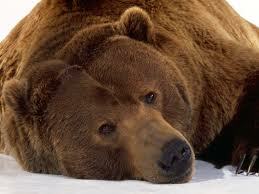 ‘Bear’ with me? Hello all! I’m working a temporary job that is quite intensive; I thought I might be able to keep up a regular blog schedule but I don’t think I will be able to after all. Bear with me for the next two weeks, and after that I promise to get back to a regular blog schedule! Thanks for your patience. Hello blogo-verse! It’s nice to see you. What’s that you say? I don’t call…I don’t write…I know, I know. But, you see, that’s all about to change! I promise. 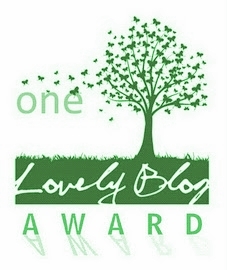 Today, the lovely and talented Emmie Mears nominated me for the One Lovely Blog Award, which was very nice, but had the possibly intentional side effect of making me feel very, very guilty about my absolute lack of blogging since…too long. So, in honor of being honored, I will make an attempt at being a better bloggerina! Promise! And the center never holds. With every glimmering kiss, with every heat-laced word or tender phrase, with every caress or careless glance, we carve away tiny pieces of our hearts. And in the end, our hearts float on without us, and we are left naught but a small sliver of what was once our potential to love.